Two Tickets For...: Two Tickets For... 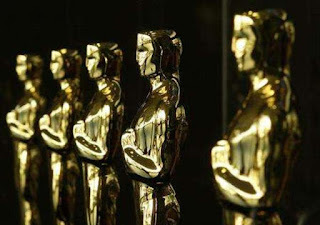 Predicts the 89th Academy Awards Winners! Thoughts: We're bummed to say the only two performances we managed to see this year are Affleck's and Gosling's. We wanted to see Denzel's before tonight's show because his Screen Actors' Guild win probably brought him neck-and-neck with Affleck, who had been running away with all the other awards circuit honors. Denzel is one of the greatest actors alive and it's very possible the Academy wants to reward him one last time, but Affleck's quieter and more internal performance was absolutely heartbreaking. In fact it was probably a better performance than his brother has ever given. Thoughts: Stone has been running away with this award for a while now, so if she doesn't win it'll be quite the upset. Huppert seems to be getting a lot of love for her nuanced performance in Elle but Stone gave a true star-making performance in La La Land and will be awarded appropriately. Thoughts: A perfect example of a nominee who probably should be in a different category considering Davis is essentially the second lead in Fences, Davis is a shoe-in here. Thoughts: Again, La La Land is going to win a lot of awards tonight. But Sarah caught The Lobster on a premium movie channel the other day and was truly impressed with the originality of the story, plus she admits it's one of the only films this year she saw that I didn't. I'm of the mind that Lonergan's script is one of the best in recent memory. It balances a tough line between the emotional wringer of the plot with the humor that can be found in real-life, even within tragic circumstances. Thoughts: It finally happened! We finally have a complete split in who we think will win a major award! Ok, so Sarah believes Wilson will be awarded for the adaptation of his own stage play, and considering the awards the film's two leads are racking up that's probably not a bad bet. I'm of the mind that Barry Jenkins will get the win here in his only win of the night. I can't see the Academy letting a critical darling and relative hit like Moonlight go home empty-handed. As for who we think should win, Hidden Figures is the feel-good movie of the season and Sarah thinks it should be awarded for conveying an important point aspect in American history in the polished way it does, and I basically think Arrival is a genius sci-fi film and deserves recognition as such. Thoughts: Just to keep it real, we have no idea about any of these movies. Total stab in the dark here. Thoughts: Another rare difference between us here. I'm the one being the contrarian as my gut is telling me to go with the film that has the intense war battle scenes, the likes of which haven't been seen since Saving Private Ryan. Naturally I fully expect to be wrong here. Thoughts: I wouldn't be surprised to see Toni Erdmann take home the statuette tonight, but when The Salesman director Asghar Farhadi was banned from being able to enter the United States following Trump's travel ban, we both believe the additional attention given to The Salesman might give it that little oomph to be awarded the winner. For what it's worth, we haven't seen any of these films, but I do know that Farhadi is generally regarded as one of the finest directors in the world regardless. So a win here for him would be totally justified regardless. Will Win - S: "City of Stars" A: "City of Stars"
Should Win - S: "How Far I'll Go" A: "How Far I'll Go"